Okay, this story would never come together if we didn’t live in the same neighborhood as the Kitchen. 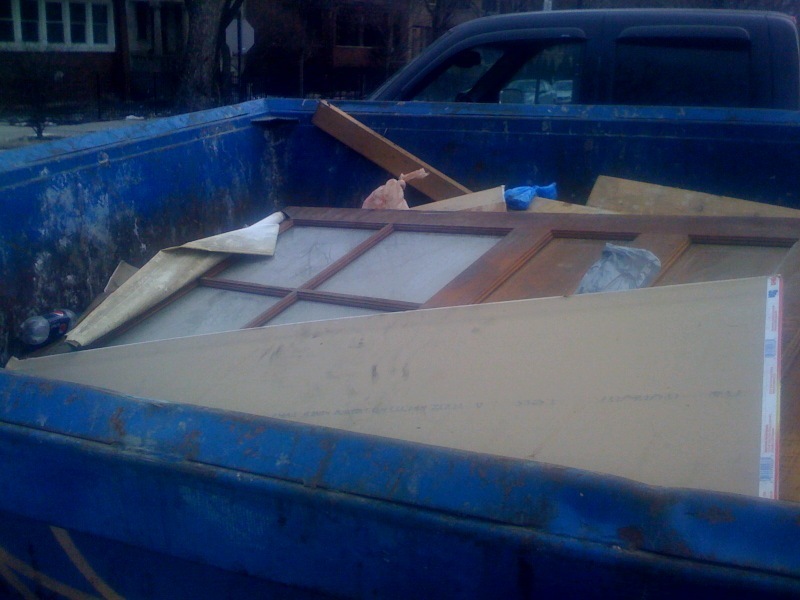 My neighbor calls to tell me there are two old pocket doors sticking out of a dumpster on Logan Boulevard. Who throws away beautiful old doors? Sooooo many people that we have salvaged about 60 so far. What a great question, from my friend Stephanie Merello of Tinycakes. Logan Square Kitchen endeavors to tread as lightly as possible on the earth, always. That means making as many sustainable choices as we can during building design, construction and after our doors open. Yes! We finally have our construction permit from the City of Chicago to begin our renovations. Our contractor, Chas. Bender is getting started right away, and we expect a 4 month construction period. So summer it is for our opening! Tomorrow morning we start bright and early. It’s been 18 months since we found this building of hard word to get us to this point. I can’t wait to see it finally take shape in the physical world. It feels surreal, like it’s not really happening. But I’m sure the jackhammers will pull me out of that. On to the next set of challenges, I say! As we wait for the City of Chicago to issue our construction permit, I’m finalizing our construction loan with Old Second National Bank. They are a wonderfully healthy bank, and the construction loan we were offered 18 months ago is still coming through for us, in spite of the banking crisis. Bob Briski, our commercial lender is terrific. In fact, we wouldn’t own the building without him. We had two weeks to close on this property– which normally takes 2-3 months– and he made it happen, while protecting us with all the usual due diligence.